Masters 25 takes a different approach to the draft experience that breaks away from the formula we’ve been following in recent years. 1. It's got a "mash-up" feel, with cards printed decades apart synergizing in ways that were never intended. It's a bit like Commander, where powerful and not-so-powerful cards meet in unexpected and satisfying ways. 2. It's got a nugget of nostalgia for everyone, no matter when they started playing. The set includes one card from each major release of Magic, from Rivals of Ixalan all the way back to Alpha. 3. It's got powerful and historic cards. Players will feel like they’re drafting an all-star team, combining some of the very best cards from every era of Magic. See what I mean here. Thanks to the inclusion of at least one card from every major set, Masters 25 gives players the chance to play with truly powerful and historic cards—and not just constructed powerhouses, but some of the most memorable cards from beloved draft formats, too. Which brings me to the twist: there are no draft archetypes. Instead, with potent throwbacks and startling rarity shifts, Masters 25 focuses on individual cards and combos, rewarding a player's curiosity and invention, rather than their familiarity with color pairs. It's a small change, but a huge break from prevailing draft design. Take Promise of Bunrei—rarity-shifted to uncommon, giving players a good shot at experiencing its synergy with things like Phyrexian Ghoul. 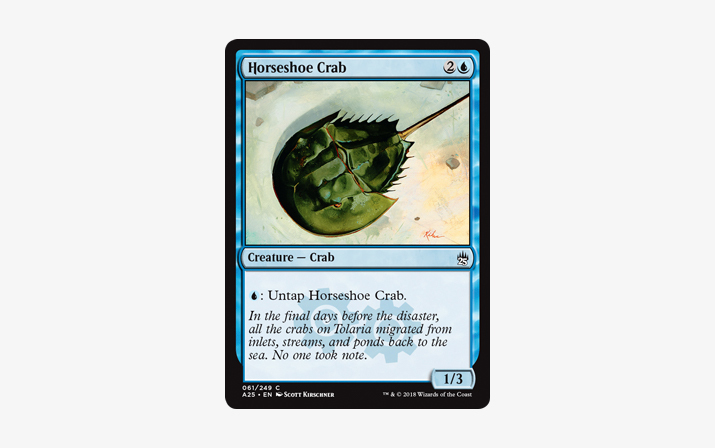 Or Horseshoe Crab. Back in Urza's Saga, everyone wanted to enchant this guy with ability-granting auras and equipment, and there's plenty of them here, like Heavy Arbalest. 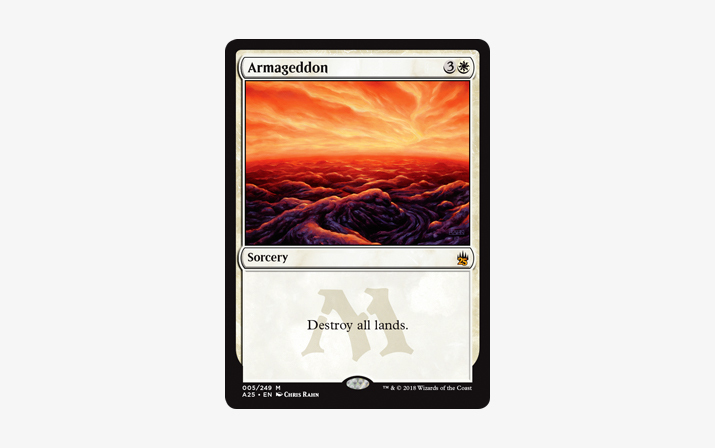 Beyond that, there's high-power commons that enable old-school styles of play, like Sligh (red aggro decks that start with cheap creatures and finish with burn spells), Draw-Go Control (in which you cast little but counter magic), and Ponza (a red control deck based on land destruction). And on and on. The bottom line is that Masters 25 is so much more than a collection of coveted reprints—the draft experience is a major demand-driver, too. There's still time to place or boost your preorder, so contact your distributor today and start promoting your own Masters 25 Booster Draft events.